Michaela is a Consulting CFO, with a unique blend of financial analysis and planning through modeling coupled with international exposure and cultural sensitivity to provide insightful counsel to small and mid-size businesses. She works directly with CEOs and Senior management, developing critical financial packages to enable a strong valuation and facilitate the sale to maximize value for all parties. As most people born and raised in Europe, Michaela was introduced to a variety of cultures and developed an inquisitive mindset throughout her childhood. Growing up in a home with teachers, she was surrounded by a variety of books and educators. She gravitated toward Japanese authors, and her fascination with the writing style and viewpoints expressed compelled her to study Japanese in high school — first self-taught until her parents relented to hire a tutor. While her propensity for Japanese naturally led her to study a semester abroad in Japan while pursuing a degree in business administration, serendipity brought her to a chance meeting with a Swedish entrepreneur in Toyko, Japan. He offered her an internship at his company and thus an insight into the workings of a small business, where she observed and was mentored in all areas of company while working directly for the CEO. At the same time, IKEA was opening in Japan and looking for young Swedes who could speak Japanese and English and who were familiar with the cultural bridges needed to help launch and manage a successful market entry in Japan. Michaela decided to take IKEA’s offer and returned to Sweden to graduate, only to come back to Japan to be part of the market entry team in Japan as a general management executive. 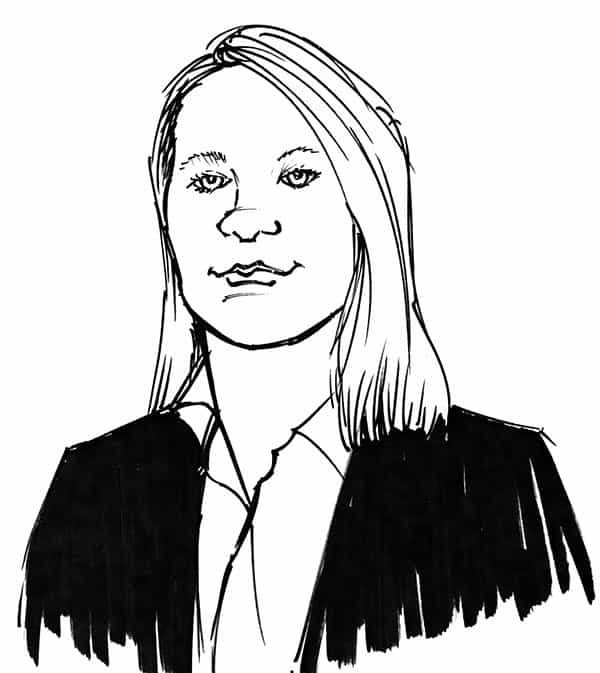 She was drawn to finance through a variety of projects, and eventually outgrew the opportunities in IKEA and decided to pursue her MBA at the University of Chicago, with a major in Finance and Strategy. Upon graduation, she joined a fund of hedge funds (FoF) and private equity firm in Tokyo and eventually moved on to NIKKO Asset Management where she served as Director of Strategy and Financial Planning. Ultimately, family ties and obligations led her to the Bay area where she landed and has put her vast financial experience to use through CFOs2GO as a consulting CFO. At CFOs2GO as lead of the Financial Modeling and Analysis practice group, she is able to apply her experience and understanding of fast moving small businesses coupled with her time spent in the trenches with large, global enterprises to develop business plans and exit strategies that maximize value. Michaela excels in working with owners and founders, serving as a trusted confidante and senior level advisor for companies that are on a path to exit through merger or acquisition. Her unique perspective was influenced by her father not only for his intellectual spirit as a teacher, but also his sense of adventure and penchant for entrepreneurial pursuits. In addition to spending time away from the family for years at a time, working in Africa teaching natural sciences, her father switched careers midlife and became an entrepreneur in his own right. Michaela always wanted to follow in her father’s footsteps and see and experience the world and dreamed of running a business herself. Her love and appreciation of budding and high growth companies is infused in her strategy and analysis of the client companies. Throughout her entire career, she has only worked directly for CEOs and owners, gaining a birds-eye view of the operations and also realizing the impact that high-level decisions can make on all parts of the company. This empathy influences the counsel that she provides and is infused in her analysis and business plans and valuations. Michaela’s extensive knowledge of financial modeling and with her cultural sensitivity honed from living and working in a variety of countries provides invaluable advantages to her clients. As a Consulting CFO and co-lead of the Mergers and Acquisition practice group, Michaela works with new and established companies to evaluate, forecast and develop growth plans, as well as help owners create successful exits by leading the M&A due diligence process. She applies financial modeling and analysis to generate strategic business plans and is adept at assessing and advising companies considering and undergoing a merger or acquisition. Michaela serves as a key financial and investor relations advisor, working closely with owners and CEOs during the due diligence negotiation and serving a critical role in the deal execution and transition of ownership. Michaela’s passionate belief in looking past the sale to the integration of the two companies translates into a more successful deal for both buyer and seller in the long run. Michaela speaks five languages including English, Swedish, Japanese, French and Romanian.